A little info about MedBox Inc. and their machines. MedBox vending machines have probably the safest security measures – a finger print identification together with medical marijuana patient’s number. It’s even safer than some ATM’s and what is more important, they have a global control over patients, doctors and prescriptions, which removes the human-factor that is usually a risk at common dispensaries and allows to get a picture of all the medical marijuana patients in a city area. They also use the latest vending machine technologies and biometric systems to keep track of sales and all operations performed on a certain machine. The managers of MedBox Inc. have a cumulative 100 years of C-level executive experience, which makes this company a much more experienced player than most others. 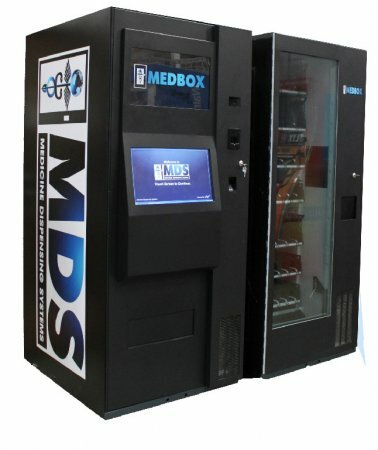 Currently the medic cannabis vending machines have a bit shaky status in San Diego, but on March 25th, MedBox Inc. will stand up to an ordinance that will allow placing around 100 machines and therefore establish a new ground for safe and legal medical marijuana.